Times are tough and many people are feeling the pinch with jobs being lost, wages being cut, and generally just being in an economic rut. It is easy when you are going to through such a time to feel all alone, like you are the only person in the world going through this, but rest assured that you are not. If you have been searching for a solution but have not yet found one, you are also not alone. If Miamibankruptcy is truly your only option, there are people who can help. This is a path that has been walked down countless times before and there are professionals that are ready and willing to help you through this difficult time. A Miami bankruptcy attorney can help you understand the laws that are associated with the next steps that you have to take. Bankruptcy is not something that you should take lightly, and this is why you need to make sure that it is done right. Most people don’t know how to navigate through legal waters alone and this is what your attorney is there for. To hire an attorney you may want to contact other people that you know who have been through this process, as they may be able to recommend a reputable professional for you to work with or they may even be able to tell you who to steer clear of! If you do not know anyone or don’t feel comfortable asking, you can look in your local phone books for the names and numbers of local attorneys. Most will be willing to meet with you for free for a short period of time, which will give you an idea of whether or not this is someone you can work with. It’s important to remember that Miamibankruptcy lawyers are going to cost you money, but most of the are willing to accept monthly payments. Depending on the extent of the work they will have to do on your behalf, they may require a retainer, which is basically a deposit, which can be as much as $1,500 but then this is in your account and debited against as you go along and after this is gone you may have to make another deposit or pay monthly bills. Usually these lawyers are very understanding when you don’t have a lot of cash laying around and will work with you to make their services as affordable as possible. 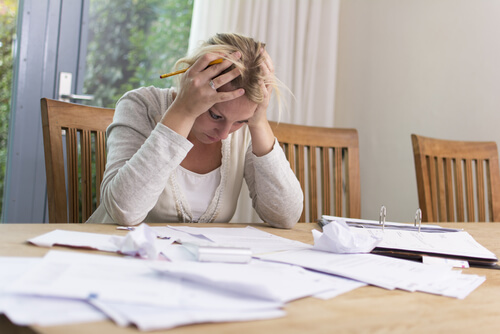 Bankruptcy is a stressful process, but when you are working with someone who knows the systems and can help guide you through all of the decisions, paperwork, and processes it will be a lot less stressful. In the end, the money that you will have to spend on such a lawyer will be well worth the support and guidance that you receive from them. Miami bankruptcy is truly your only option, there are people who can help. This is a path that has been walked down countless times before and there are professionals that are ready and willing to help you through this difficult time. An Miami bankruptcy attorney can help you understand the laws that are associated with the next steps that you have to take.